Our company now delivers high quality, custom bumper stickers with a faster production time. Since we are able to do this, it gives you, our customers, a quick resolution to those close-approaching events and you need something quick. Bumper stickers Euro oval window stickers are a popular item when it comes to school sports teams and events, town events, churches and more. The quick ship bumper stickers require only about a 5 day production time, saving you time and money, but without sacrificing quality. These bumper stickers are still able to be customized by you. There are only a few restrictions on what you can do with these, but there is still enough to make them one of a kind just for your specific use. Check out our Spring Sale for savings on EURO Window Stickers and Bumper Stickers Stock Sizes in the following link. No. 541 11-1/2" x 3"
No. 578 11-1/2" x 3"
No. 581 11-1/2" x 3-3/4"
Vinyl Only. Mascot not available. 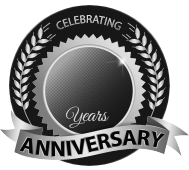 BBB Member since 2004 with a proven record of complaint free customer satisfaction on items like EURO Window Stickers and Bumper Stickers Stock Sizes. Click on the BBB logo above to check our record or leave a customer review. At deSIGNerySigns.com we have more than 24 years experience in designs for our Bumper Stickers Stock Sizes. Call us today and let our design specialists help create your next project to promote your product or business. FREE Shipping on all decal and sticker products | Free layout | A+ BBB rating | 24 years in the business | Call Today for a free quote on Bumper Stickers Stock Sizes. For these specific bumper stickers, we offer 4 different types of layouts. Although these custom bumper stickers are geared more towards schools, we offer a 6”x 4” oval white vinyl decal that can be customized with up to 2 colors and text. These work great for gift shops, travel agencies, airports, and of course, also great for schools. Our school quick ship bumper stickers have 3 different types of layouts. With graphics already laid out on the stock bumper stickers, we are able to produce them faster for you by just having to point and place your custom information on the sticker. We offer a white vinyl 11.5” x 3” sticker that can be customized with up to 2 colors and text. This bumper sticker is laid out already with the text “My child is an Honor Student at” and can have your school mascot and school name printed on it. Another is not a white vinyl material, but it is a chrome polyester material with a shiny appearance and is die-cut in a special shape to surround a banner ribbon graphic that is great for showing off your honor student. Its size is 11.5” x 3.75”. This can also be customized with up to 2 different colors and only school name text. Our third bumper sticker is also an 11.5” x 3” white vinyl material and can have 2 colors and custom text. 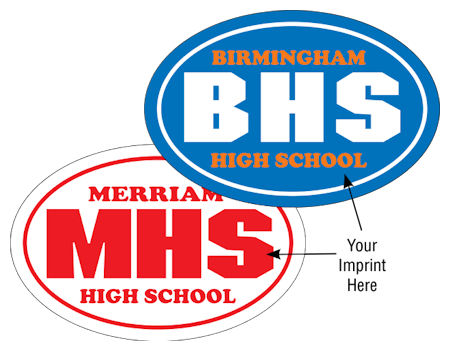 The high school bumper sticker is already laid out with the words GO on the left side of the sticker and is intended for the school mascot to be printed next to it for building team spirit. The custom quick ship bumper stickers are here to save you time. 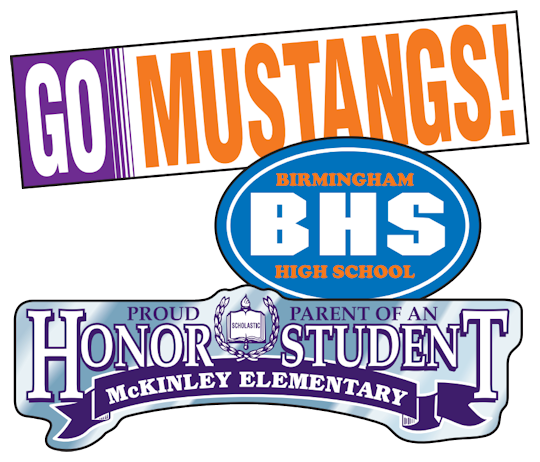 The creative layouts and catchy graphics make it simpler for you to order your next set of bumper stickers for your student body. All we need is your desired colors and school name and if needed, the mascot. A high quality product with exceptional service is hard to find. Our company is here to help you every step of the way and to make these types of projects as easy as possible. Visit us on our Contact Us page today for a FREE Bumper Sticker sample and a FREE quote.